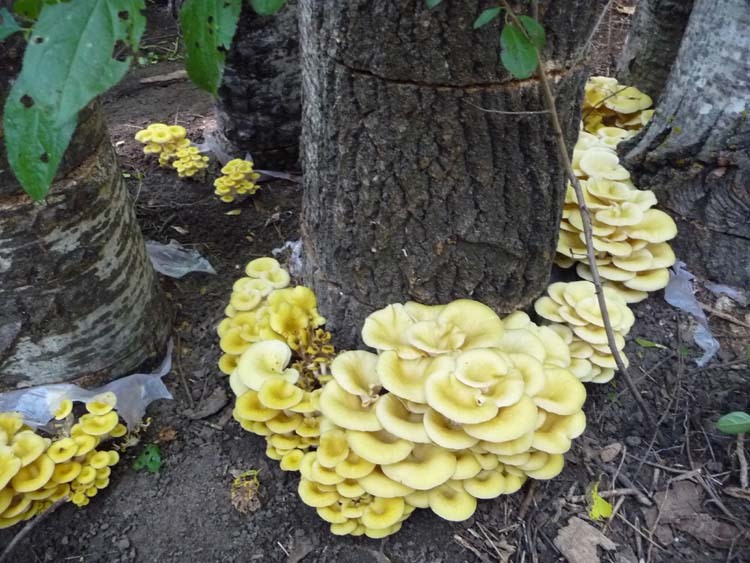 A few days ago I discovered that there had been some prolific fruitings by the new golden mushroom logs – logs that I inoculated only a few months ago. These mushrooms were done and gone – rotted in place. Now that these logs are productive, I pulled off the biobags that I’d put on to keep them moist while the oyster mycelium spread through the aspen wood. You can still see pieces of these bags around the logs – which should decompose over the coming months. 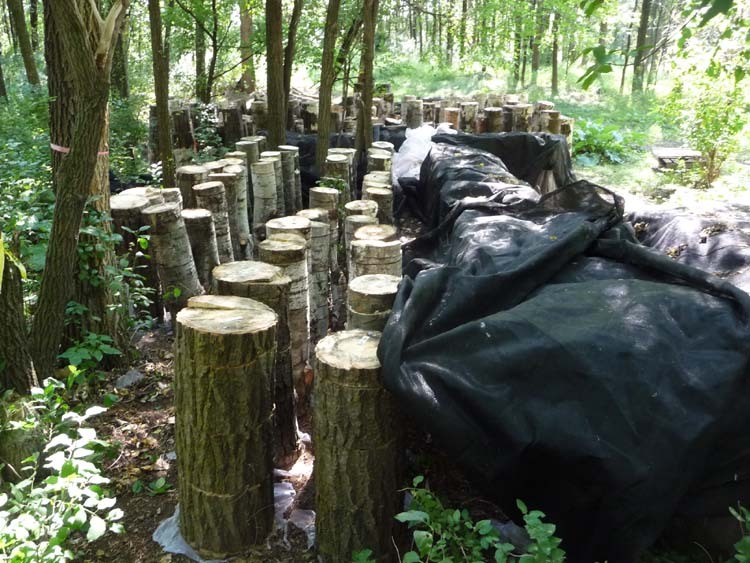 With the bags off they can fruit better – especially along the sides of the logs. Golden oysters love hot weather and we’ve had plenty of that, so I guessed that they would fruit again soon. Once I pulled the bags off these logs, I was proved right within a day or two. Unfortunately these logs are producing mostly at their bases – right through soil – which makes clean-up difficult. But they are still beautiful and delicious.